Why Everyone Loves this Decorative Pillows? 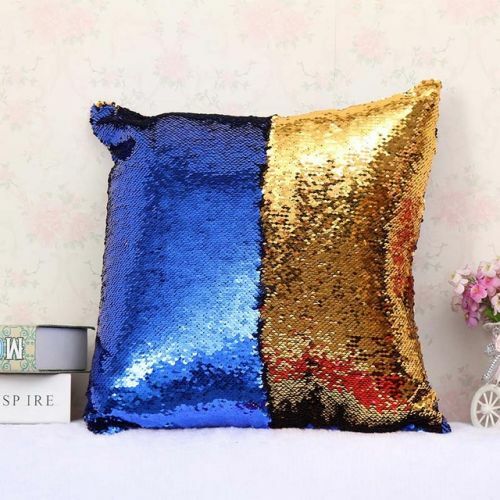 Fun Mermaid Pillow Covers featuring double colored sequins that's so satisfying to touch! Stroke and draw endless patterns and watch how these sequins sparkle and shine when the light hits! The design possibilities are endless. Place a few of different colors on sofa and just create your own decoration by running your fingers! Perfect gifts for birthdays, holidays, entertainment for the kids or just for fun! Size: 15.75 " x 15.75"